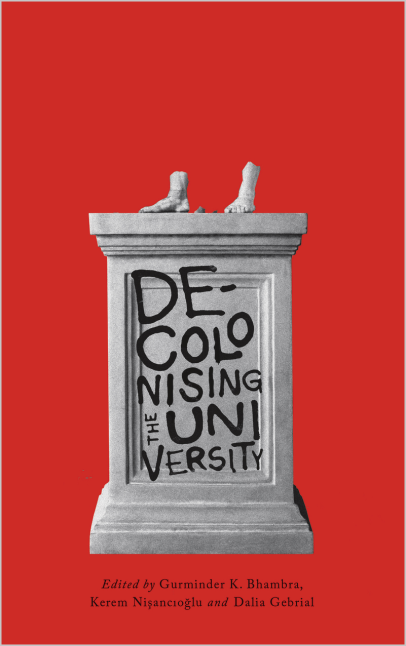 There are two launches coming up for the forthcoming ‘Decolonising the University‘, an edited collection put together by Gurminder K. Bhambra, Dalia Gebrial and Kerem Nişancıoğlu. I have a chapter in this book, in which I critique how university managements perform internationalisation. The London launch will be on 29 August 2018 from 7pm at Housmans Radical Bookshop, 5 Caledonian Road, London N1 9DX. Tickets are £3 and available here. This session aims to explore the discourse and challenges around current moves to decolonize the university. It draws together contributors from a forthcoming volume on the topic and ask them to outline the key points from their chapters before opening up to a discussion with the audience around the themes raised. This workshop provides a space for conversations and collaborations around the theme of ‘Decolonial Transformations’. The world we currently inhabit has been structured significantly by imperial and colonial rule. While colonization was resisted over the longer durée, the decolonization movements of the last seventy years consolidated and institutionalised these efforts. This has led to the beginning of a fracturing of the colonial world order. This fracturing remains incomplete. Coloniality continues to be pervasive as a structuring force in the world, often manifesting as the modernist control of nature and civil society, racialised divisions of labour, Eurocentric social theories, global governance regimes that institutionalise asymmetric relations (in trade, natural resources and capital), racialised migration regimes, disqualification of ‘non-Western’ modes of knowing, demonization of specific identities and xenophobia, and the silencing and erasure of subaltern histories. While struggling against these forms of coloniality, there is an urgent need for imagining and realising transformations that can help build alternate decolonial worlds and sustainable futures. A key aim of the workshop is to think about and discuss how to move recent conversations around coloniality and decolonial transformations forward, linking academic scholarship with art, activism, and everyday life. This workshop brings together scholars, artists, students and activists to collaboratively imagine and reflect upon decolonial processes. It aims to further cooperative engagement in and among movements aimed at decolonial transformations, for realising educational justice, ecological regeneration and pluriversal futures. The workshop will include a variety of different events and forums over two and a half days, including panel discussions, interviews, interactive and participatory workshops, and creative spaces and performances. The afternoon workshops will be streamed to bring together work in Scholarship, Art, and Activism. This workshop is a collaboration between SOAS and the University of Sussex. We welcome you to join us in 3 days of conversations and collaborations on ‘decolonial transformations’. The Workshop will take place at the University of Sussex, Brighton, UK. There is a 10.00 registration fee. Concessions are also available for students, and unemployed. Accessibility to the Workshop is an important issue. Please make sure to indicate on the registration form any specific accessibility needs. 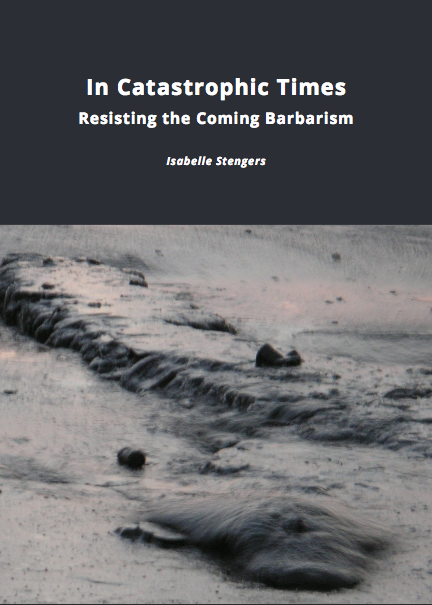 After temporarily getting lost, my book review of Isabelle Stengers’ “In Catastrophic Times: Resisting the Coming Barbarism” is finally out in Cultural Geographies. It can be accessed here (if you don’t have access, email me). It is one of those books that helps me think about the problem of how to affect change from the particular position that you inevitably occupy. The English version of the book is available at open access publisher Open Humanities press and can be read or downloaded here. Am reposting this excellent workshop call from CPD-BISA. The event is organised by Nivi Manchanda, Lisa Tilley (Warwick Politics and International Studies) and Kerem Nişancıoğlu (SOAS Politics and International Studies) and is taking place here at Warwick. “International Relations has often borrowed theories and methods from elsewhere to think beyond its own disciplinary limits. Similarly, interdisciplinary or transdisciplinary scholarship has long been central to thinking about the colonial question. Indeed, a key insight of postcolonial scholarship is that disciplines are themselves products of colonial practices. At the same time, in the field of International Relations and beyond, the demands of publishing, researching, teaching and hiring continue to reproduce strict disciplinary boundaries. More positively, disciplines often offer a scholarly home, a shared language and common problems that help orient our work. This workshop will examine how such tensions affect and direct how we think about the colonial/ postcolonial/ decolonial. Conversely it will also ask how the colonial question reconfigures how we think about our own disciplines. At its core, the event will encourage a range of scholars to engage with the colonial question from outside of – and perhaps against – their own disciplinary (disciplining) homes. CPD-BISA workshops are not organized around “paper-giving”, but rather each session is introduced by a couple of five minute opening interventions. Therefore, if you are interested in attending please do also indicate whether you would like to provide one of these five-minute interventions, and if so, on what issue area. We will calculate participation and funding with a sensitivity to career level (phd, postdoc, faculty etc) and job type (contract, permanent etc). Please do indicate your career and job attributes when you email. Mutable Matter will be hosting its first workshop this year, generously supported by a BA/Leverhulme Small Research Grant and Warwick Social Theory Centre. The workshop, entitled ‘Cosmos & Crisis: interdisciplinary conversations’ will be taking place in late Summer/early autumn. More details coming soon! The Race, Culture and Equality (RACE) Working Group would like to invite proposals for sessions to be sponsored by RACE at the RGS-IBG annual conference 2017 titled ‘Decolonizing geographical knowledges: opening up geography to the world’. A key objective of the RACE Working Group of the RGS-IBG is to promote scholarship on topics of racial inequality, colonization, decolonization and whiteness, and to encourage dialogue on race that advances academic knowledge and progressive practices. The RACE Working Group therefore welcomes proposals on these topics more generally, but we strongly encourage proposals that critically and creatively engage with these topics in relation to the conference theme specifically, for example; by exploring the limitations, contradictions and injustices of organising a conference on the topic of decolonization in western neoliberal academic settings; and/or by examining the contemporary co-option of decolonial thinking in a range of settings. We are also interested in sponsoring sessions and activities by activists and scholar-activists, as well as artists and scholar-artists, that propose and explore practical initiatives for dismantling colonial processes within the discipline, within the university system, and within the RGS-IBG. Please email proposals to raceworkinggroup@gmail.com by 22 January 2017. Submissions should include a title, an abstract (max 250 words), the format of the session or activity, the number of timeslots requested (if applicable), and name(s) and affiliation(s) of the organizers. The guidelines for organising sessions can be found here http://tinyurl.com/pdrjfek. We will endeavor to respond to organizers by the end of January 2017. For more on decolonization, please see Tuck, E. and Yang, K. W. (2012) Decolonization is not a metaphor, Decolonization: Indigeneity, Education & Society, 1(1), p. 1-40. Next week, I will hopefully be attending (and speaking) at the New Materialism & Decoloniality Workshop at Duisburg University. I have to say ‘hopefully’, because the Home Office has still not returned my passport and other documents that I had to send off a few weeks ago for the first part of my citizenship application (fingers crossed that I get them back in time – any advice about alternative travel documents appreciated). Organised by Olivia Rutazibwa and Pol Bargués-Pedreny of the Käte Hamburger Kolleg/Centre for Global Cooperation Research, the workshop seeks to bring the two theoretical directions into dialogue with one another. There will be three rounds of discussions in which two people present readings, followed by two discussants who engage with the presentations. The three themes are: 1) The Roots of the Argument. 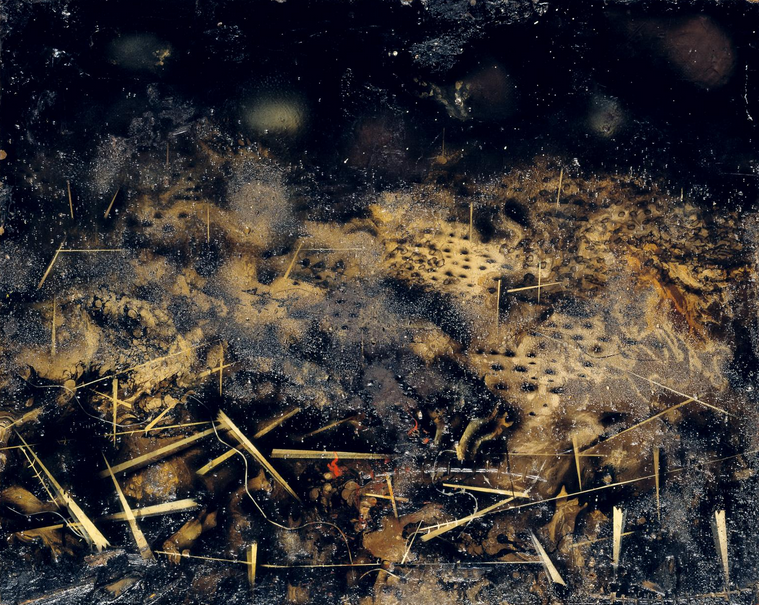 Deconstructions: Nature, Culture and Critique. 2) The Argument. Reconstructions: Infrastructures, Indigenous Knowledge Systems and Cosmologies. 3) Thinking ahead with the Argument. Implementations and Implications: Ethics, Ecology and Geopolitics. The three sessions will be followed by a round table. Speakers include: Anna Agathangelou, Kai Koddenbrock, Mark Jackson, Lisa Tilley, Jessica Schmidt, Vanessa Pupavac and Ovidiu Tichindeleanu. The dialogues will be preceded by an evening of dialogues and performances on the topic “Climate on the Rise, People on the Move. Understanding Today’s Global Challenges Differently”. Here, Rolando Vazquez (Utrecht University) and Doerthe Rosenow (Oxford Brookes University) “will explore our relation to the earth, vulnerability and what it means to be human in an increasingly uncanny world”. Attendance is welcome and free. Please e-mail events@gcr21.uni-due.de .